The Kootenai Democrats enthusiastically recognize Jessica Nash-Mahuron as the 2018 Rising Star. Jessica distinguished herself by displaying an unflagging work ethic, organizational and strategic planning skills, and infectious enthusiasm. The Kootenai County Democratic Central Committee greatly benefitted from her leadership and vision. Among her many contributions were the complete redesign of our website, communication system, and logo. Her stellar accomplishments distinguished Nash-Mahuron as the clear winner. She was presented the award at the North Idaho Democracy Dinner. Jessica’s greatest accomplishment this year was on behalf of Reclaim Idaho. As the coordinator for Kootenai County, she championed the Medicaid Expansion Petition Drive. As a result of her efforts, Jessica managed to successfully lead an entirely volunteer campaign to gather over 1800 valid signatures in District 4, and hundreds more signatures countywide. Throughout the effort, she forged through the challenges of weather, formidable and burdensome petitioning rules, and the highest of voter signature validity standards. As a result of these accomplishments, the Kootenai County Democratic Central Committee looks forward to Jessica’s continued leadership in our community. It is clear to see why she is a rising star. The Kootenai Democrats Rising Star Award specifically targets the work and dedication of new Democratic activists. The award recognizes an individual or couple who are a relatively new presence in the Democratic community. 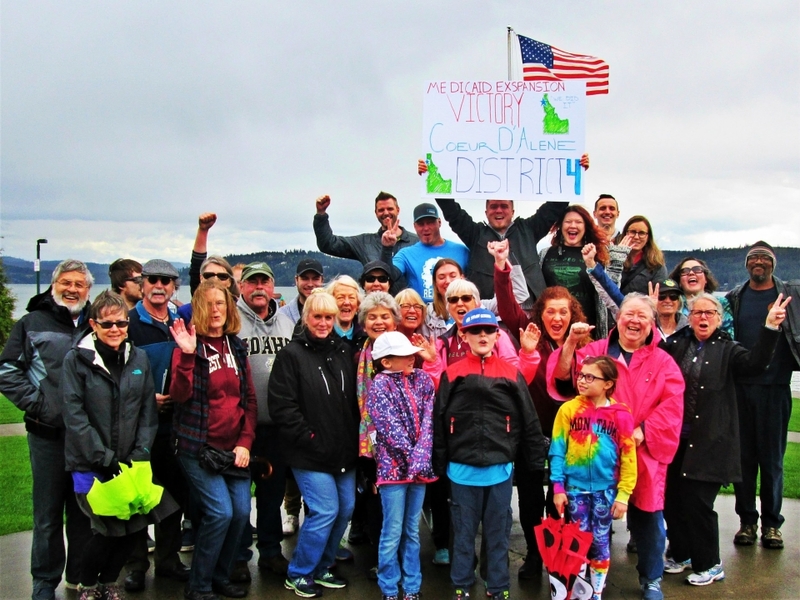 In addition, the honor acknowledges them as reliable volunteers with Kootenai Democrats with a record of promoting Democratic values. Furthermore, winners of this award are seen as contributors of fresh ideas which help energize the Kootenai Democrats. They are also willing to do the groundwork necessary for turning ideas into reality. They also have a record of voting regularly in our local and national elections.